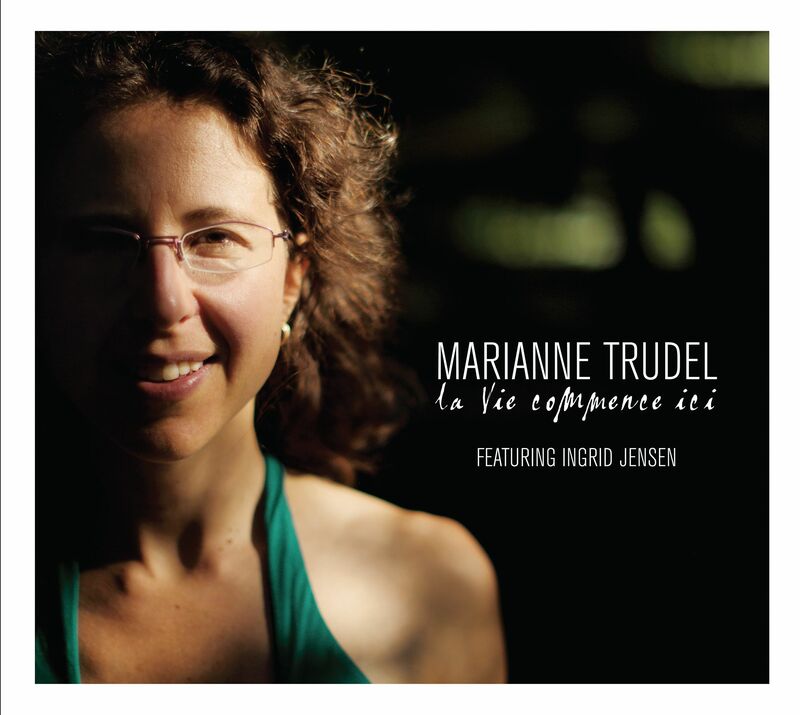 "La vie commence ici", is the latest work from Québec musical treasure, Marianne Trudel. The pianist/composer teams up with renowned New York trumpeter Ingrid Jensen (Maria Schneider, Dr.Lonnie Smith, Clark Terry), and the result is a blend of sublime artistry and inspired technique. The breadth of this recording is wide for Trudel, and we hear a tapestry of styles emerge, from Keith Jarret to Maurice Ravel, melodies that can be taken to heart and sung by a child. "La vie commence ici" is Trudel’s attempt to capture and make sense of a pivotal moment in her life. “We arrive at the end of our ‘30’s, and accumulate fears. …I would like to wipe the slate clean”, Trudel explains. This fresh perspective is evident in the tone of the album, which explores themes of affirmation, of self-reflection and acceptance and of the natural world.